Sustainable home building and green building practices aren’t just about high-efficiency furnaces and upgraded windows. For Greg Welch Construction, sustainable home building is an entire movement towards quality, long-lasting homes that are easy on the Earth and good for the overall betterment of the community. So that’s why, for Earth Day this year, we wanted to take a moment to talk about what Greg Welch Construction thinks makes an Eco-friendly new home. Greg Welch, a Earth Advantage builder and one of the elite Sustainable Homes Professional network of builders in Central Oregon, makes it his goal to not only meet–but to beat–the requirements for Earth-friendly home construction set forth by these agencies. By combining Eco-friendly home construction products with green building practices, each Greg Welch home functions more efficiently and creates less waste, earning a Energy Star level certification in the Earth Advantage program. But that’s not all. Greg Welch believes a truly “green” home means a well-built, quality home that lasts longer, maintains its appeal over time, and contributes to the overall sustainability of the community. He does this by supporting the local economy by sourcing local suppliers and employing local contractors who have a reputation for quality and service. From the lumber, to the gutters, to the cabinets, to the excavation crew, Greg Welch Construction believes that a vibrant Central Oregon community begins right here at “home” with every new home that’s built. 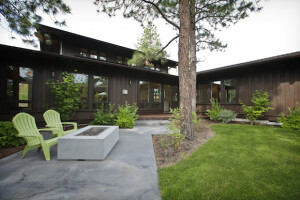 For more information on how Greg Welch Construction can make your Eco-friendly and sustainable new home a reality in Bend, Oregon and the surrounding Central Oregon region, contact us at info@gwcbend.com or search for our listings in the neighborhoods of Tetherow Golf Community or Northwest Crossing.